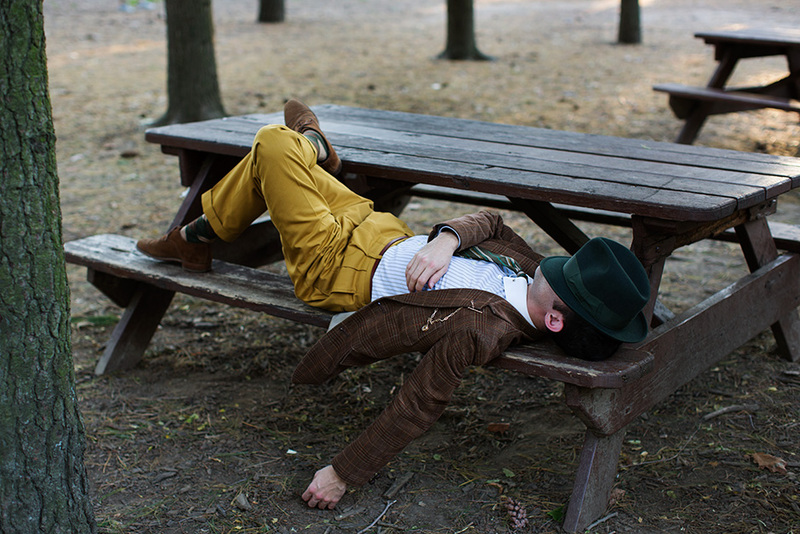 Such great style, and its not everyday you see a person like this, sleeping on a bench in Central Park i think :)! agreed. is that Johnny Depp under there? Nice, it looks like he would eighty years ago. And how he’ll look when he is 80! Oddly enough this is a sight you see quite a bit in Milan… extremely sartorial conscious gentlemen making hobo the new boho! i love the mustard pants.. this colour is so in this fall! Not a fan of the condiment but love this color contrast. Impeccable, even in this relaxed pose! So nonchalant in the most perfect autumn colours! Outstanding shot! This is the reason why I follow Sartorialist, wonderful inspiration!! Mad Hatter is that you? Damn, somebody needs to wake this man up and shake his hand. Beautiful photo, for a second I felt it was in Paris at the Jardin des Tuileries. Like something out of a mystery book…Sherlock Holmes perhaps! I mean…where do You find All those people? Great photo! Wow–one of the most beautiful images I’ve ever seen on this site. I don’t know what I like better: the hat, the jacket or the socks!! Nathan Detroit, is that you? Cool photo! Live the style with the yellow pant and the green hat! Wow – I love everything about this – the unposed nature of this shot, his outfit – such a beautiful combination of fall colours plus the teal of his hat. I’d love to see what he looks like! And I applaud you recognizing Bertolt. This picture is funny and stylish at the same time: love it! Sooooo cool!!! Absolutely love this picture!!! I’ve clued in!!!!! Mr. Haar!!!!! At first glance, the picture made me think of Jean-Paul Belmondo during the New Wave (Nouvelle Vague) in the 60′s. Great photo for an add. 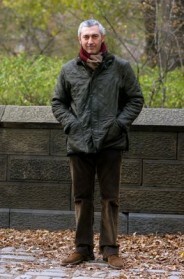 i just love how this man is s stylish on a bench. Haha, great photo. Even though he’s sleeping in public he looks very stylish! Nice color for the trousers. And nice change back to pleated, higher rise, fuller cut. Skinny low cut is getting too predictable. My blood ran cold when I saw the pleats. Some styles look bad on some people – like pleated trousers and me. I wonder if they look less like harem pants when he stands up..
That is one classy, stylish nap! Love it! Looks like Joe from Looper. Unreal! The colors! The instant moment! fun and beautiful picture, I like his outfit!! Love everything about it, composition, the outfit from the hat right down to the shoes. His blazer is fly! LOVE!! the pants! the hat! the blazer! Hey, I know that guy. You missed a fun picnic, Mr. S.
I love sartorialist, but i miss more personalities here, too much expensive stuff i see here, but good taste is not about the money and visiting fashion shows..
It’s almost monochromatic at first glance. Really nice photo that allows the viewer to create a story.